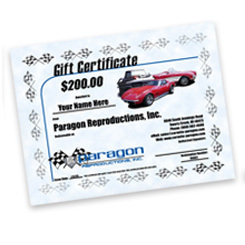 At Paragon, we strive to provide the highest quality 1953-1996 Corvette parts in the industry. 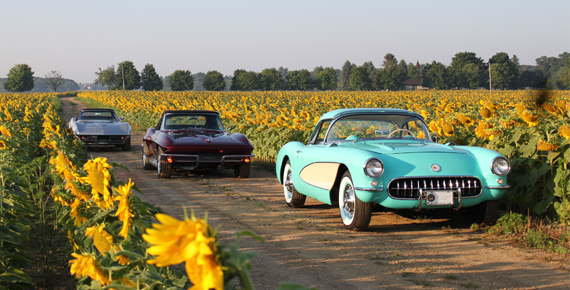 Find the parts you need for your C-1, C-2, C-3 or C-4 Corvette with our easy to use parts catalogs, containing hundreds of helpful schematics, photos and tech-tips. Looking for a hard to find part? We carry a large selection of N.O.S. 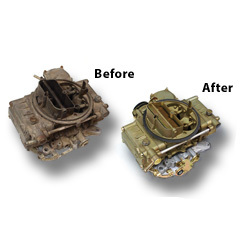 and used original Corvette parts to serve all of your restoration needs. Adjustable rear strut rod kit, forged ends, includes (2) rods with polyurethane bushings and mounting hardware. Kit eliminates the camber and adjusting bolts. Power brake booster rear rod plastic cover. F.I. plenum vacuum elbow fitting, w/ power brakes. Door Latch Mechanism - L.H. Fiberglass Kick Panel - L.H. Fiberglass kick panel, hand-laid, L.H. Door & t-top velcro fastener kit w/ holes, black nylon. Upper Air Conditioning Cable - L.H. Upper air conditioning cable, L.H. 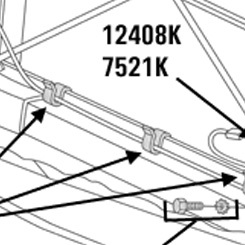 Upper Air Conditioning Cable - R.H.
Upper air conditioning cable, R.H.